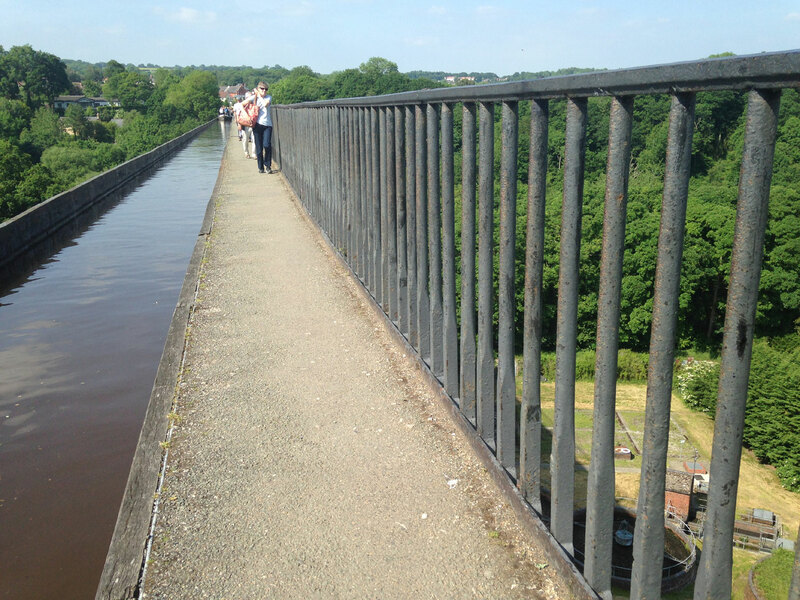 I rode down to Bryncoch and dropped my bike off with TJ for some TLC, then walked home to Glynneath, approx 12 miles. I took the Sarn Helen Roman Road over Hirfynydd. It was quite funny that even though we were in the middle of a drought there were quite a few large almost impassable puddles on Sarn Helen. 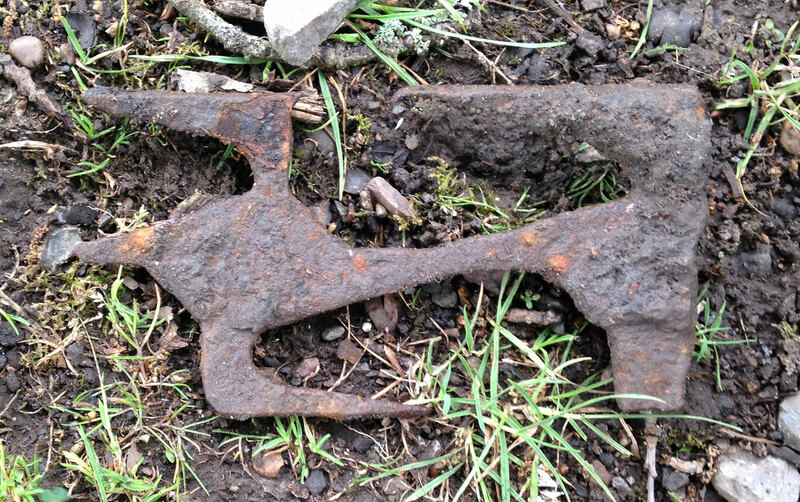 I came across a metal hook type thing, about 6 - 9 inches in length. Not sure what it is ???? Today was my first opportunity this year to continue my walk around Wales. Mid morning saw me with my thumb out on the A465 but after a 20 minute wait I decided to head onto the B roads instead so that I could get the show on the road. I started walking up the Rhigos bank and about 10 minutes into my walk the landlord at my local pub Tony picked me up and gave me a lift to Hirwaun which is always a great spot for thumbing and so within two minutes I had another lift with a guy from Llanelli who was travelling to Brecon. Things were moving superbly and as soon as he dropped me off I had a lift with the first car with a chap on his way to Talgarth. This was a just a short ride, the length of the Brecon bypass and he dropped me the other side of Brecon. 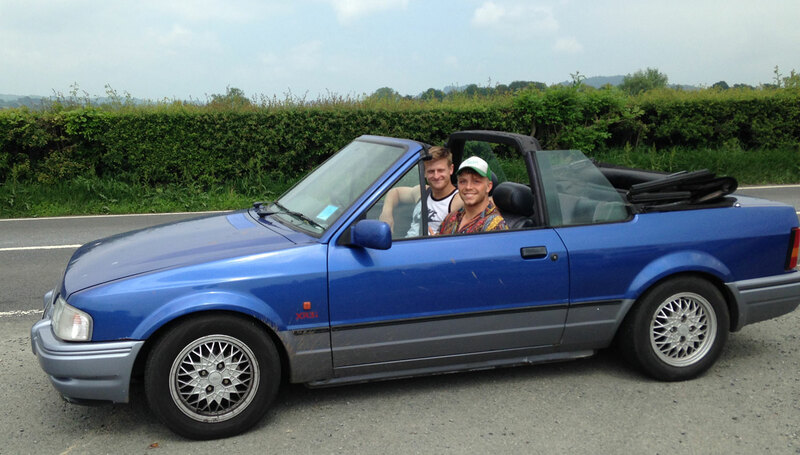 Immediately I was picked up by Will and Matt in an XR3i convertible which in the early 1980s was my dream car. 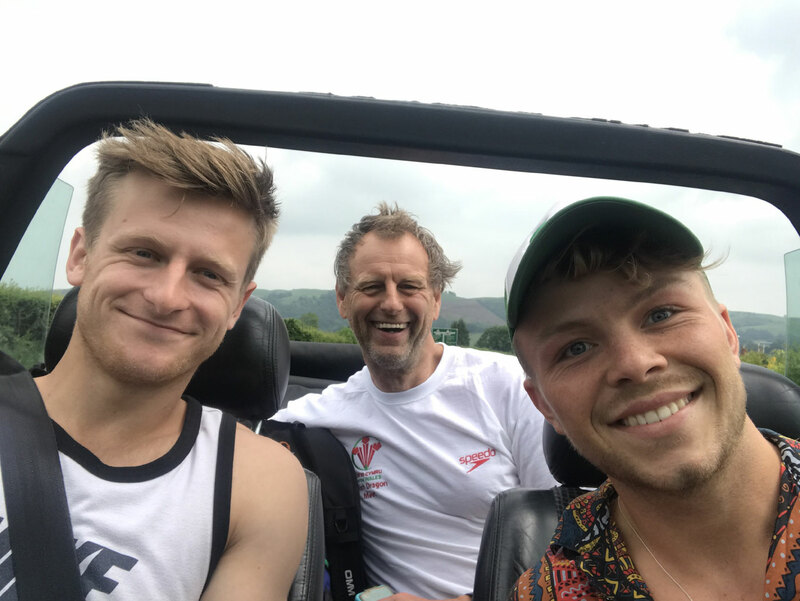 These two guys were from Exeter University and with the top down they double messed my hair up and gave me a lift to Caersws. One more lift with Bradley took me through Newtown and he dropped me in the town of Welshpool, just 2 miles from my start. I started walking to Buttington where my last walk had finished and my thumb must have been broken because no-one picked me up. 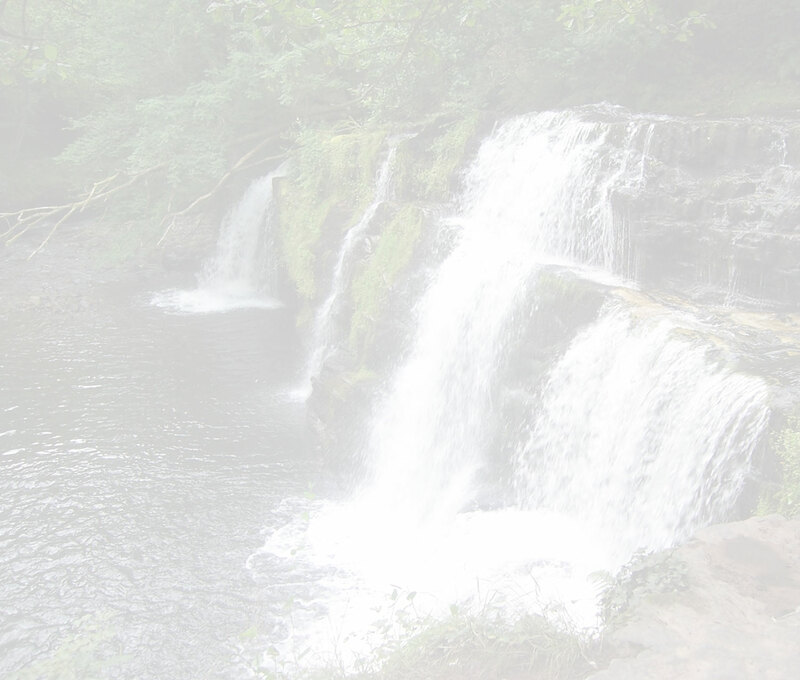 Our second annual Grandmum Day picnic took place at the Gnoll Country Park in Neath. 29 direct descendants and partners of my parents David & Marion Richards met to celebrate the joys of life. We call it Grandmum Day because the date always falls around my mother's birthday, known as Grandmum to all of the next generation. 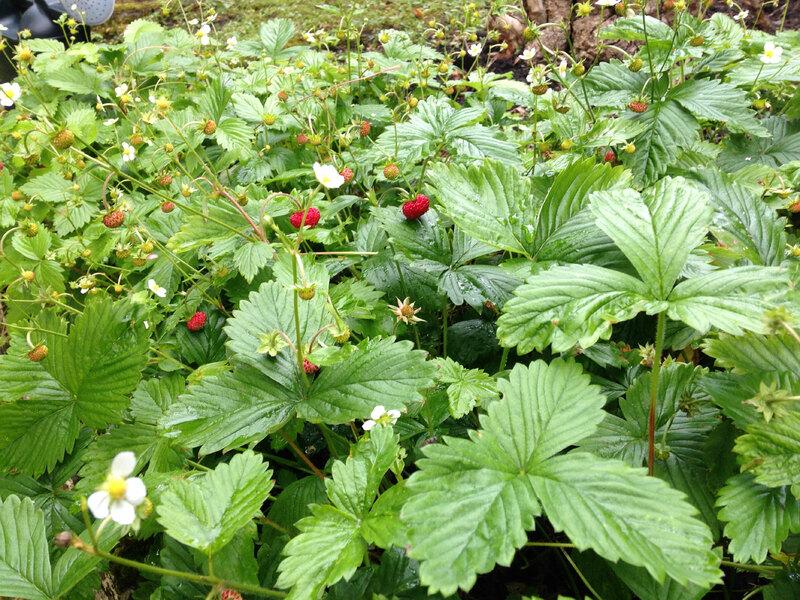 Wild strawberries in fruit in my garden of all places. I spent two days in Worcester this week filming on Father Brown which aired in January 2019. 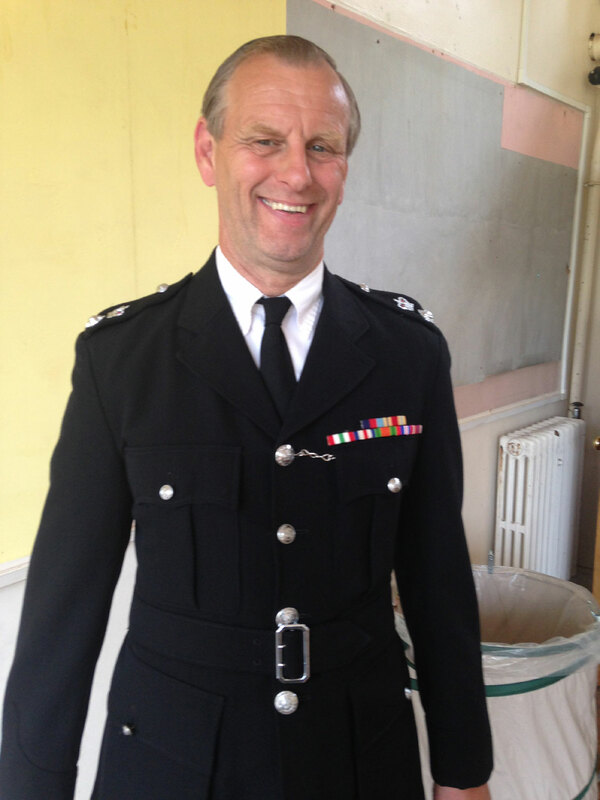 I had two roles, the main one was as a hospital porter, the other was as a body double for a police inspector. It's a good job I've almost reached an age where people can say at my funeral 'well he had a good innings' because regularly I get the impression that the writing is on the wall, or at least the writing is on the gravestone. I once in the early 1990s almost bought an old church in Blaengwynfi which I was going to turn into a mountain bike centre and there was one gravestone inside the church and the name on it was Dafydd Richards, I was a little spooked by that and on this leg of the NPT tour we walked a path which had chunks of old gravestones under foot and I cam across one with the name Richards on it. Is someone up there trying to tell me something? Today's leg started at the Maesteg golf course and headed down to Llangynwyd, a loop of Margam mountain took us back to the golf course and the finish. It was an early start and we were treated to an audience with Mr Hedgehog just before dawn. My eldest son Dale and his trusty mutt Marley have joined me for a few legs of the Neath-Port Talbot tour. Today's leg was from Maesteg golf course to Afan Forest. 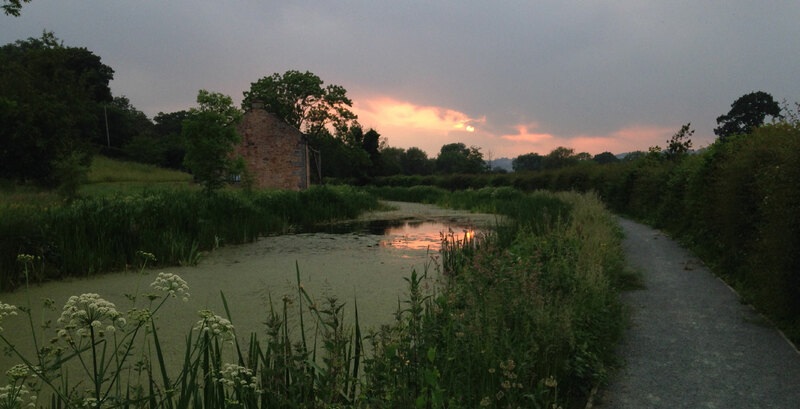 This was walk 27 of the tour and the third leg of the St Illtyd's Walk. The location of the start for the walk was the same as the last, the small car park on the top of the hill between Maesteg & Bryn and we headed out early, with a 5.30am start. Again we followed the path across the golf course, where it meets the St Illtyd's walk. 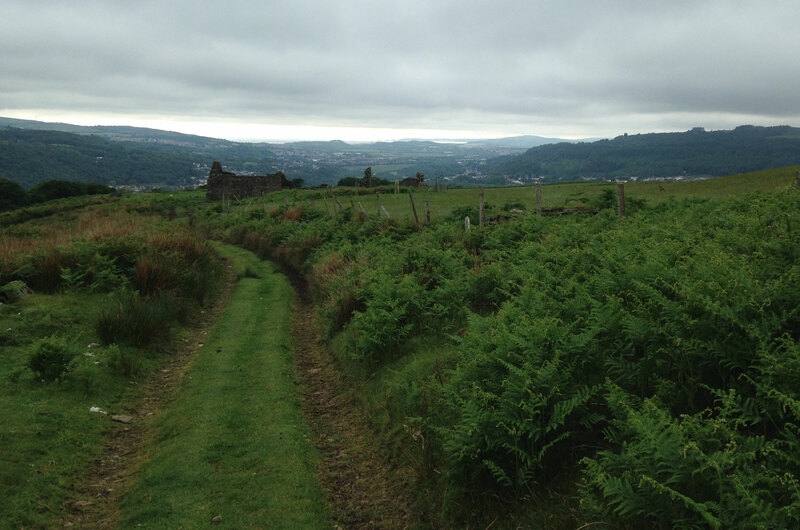 This time we turned right and follwed the walk through the village of Bryn and up the other side of the valley to Afan Forest. We left the track near the trig point at Foel Trawsnant and headed back to the car. This was a lovely walk which included some nice views over the bay to Swansea.